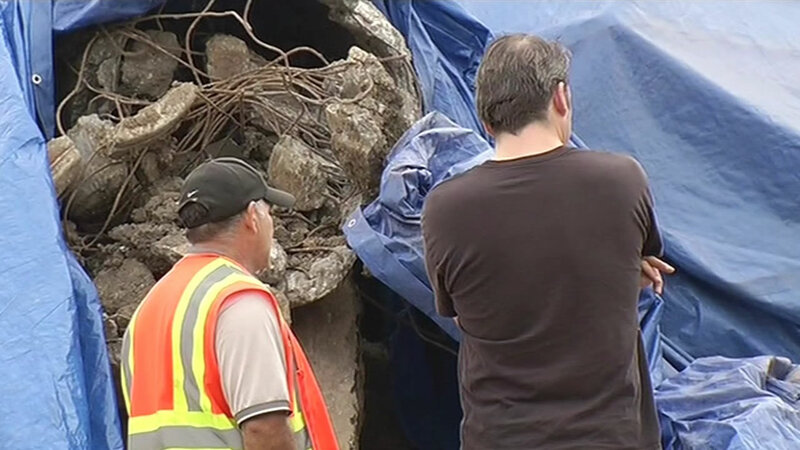 SAN CARLOS, Calif. (KGO) -- Neighbors in San Carlos are upset that a huge pile of debris was dumped on SamTrans property, creating a large dust cloud. Now some of those people are saying they're having a tough time breathing. "It's gross to think that they put garbage out there," said Danna Oronce with My Gym San Carlos. Last Friday, neighbors noticed dirt, pipes and other material dumped at the site on El Camino Real near Holly Street. Over the weekend, some nearby started complaining of headaches, dizziness and strange smells in the air. They're now trying to protect themselves. "I mean, for our own safety, making sure that the vents are closed as we're driving by and just staying clear of the area," said San Carlos resident Chris Robinson. So where did the debris come from? A contractor working on the nearby $4.5 million sanitation improvement project on Industrial Road dumped the debris, believing it was the site designated for dumping by SamTrans, the owner of the property. However, that information turned out to be wrong. After getting complaints from numerous residents, public works crews from the city of San Carlos stepped in and covered the piles with tarp. The city now says it's going to bill the contractor for that work. "We have a lot of small children of all ages, too, so we're just happy they're doing something to protect us and the families here," Oronce said. The contractor hopes to have all of the materials hauled out by the end of the day. Neighbors say it can't come soon enough. "It's great to see they're cleaning it up, but it shouldn't have been dumped there in the first place though, especially so close to neighborhoods and downtown," said Robinson. Debris samples have been sent to a local lab. City officials will notify local residents when the results come back.